British Airways Run Gatwick have announced that places are still available for the highly anticipated inaugural event featuring a half marathon, 5k race, corporate 5k race and family run on Sunday 13th May 2018. With just under three weeks to go until race day, those wishing to be a part of this exciting new road race in the south east should sign up now to their preferred race distance and look forward to a superb day of running and achievement. British Airways Run Gatwick offers four different events on the same day, to encourage runners of all ages and abilities to get active and enjoy the thrill of a big sporting event. A total of 7,500 places are available across the various races and places have been snapped up by runners from near and far wanting to #RunGatwick this spring. The day kicks off with the International British Airways Half Marathon Sussex at 9am, a closed-road, single-lap course that takes runners through Crawley town centre, out into the beautiful Sussex and Surrey countryside and past Gatwick Airport. Start times will be staggered according to expected finish times and a team of pacers will be helping runners to hit their target times on the day. 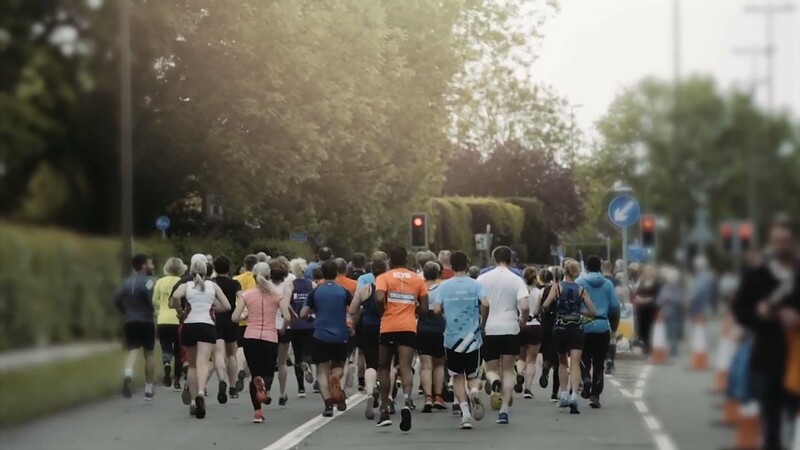 The 5K Race then starts at 9.25am, and this race is perfect both for new runners wanting a challenge and for experienced runners looking for a short, fast race. Open to runners aged 11 upwards, it is also a great first race for younger runners. The 5K race route leaves Southgate Park and works its way through Crawley’s lively town centre on fully closed roads, with plenty of support along the way. The Corporate 5K has already generated plenty of interest among local businesses wanting to compete to become the fastest business in the area whilst enjoying all the benefits of training together towards a common goal. Sponsored by Ambra Recruitment, the race offers an Ambra Corporate VIP Area at an additional fee, providing participants with food and drinks, a relaxed seating area, private toilets, a changing area and free massages. The Family Run rounds off the races at 12.30pm with a fun, 1-mile route in and around Crawley for children aged 4 upwards. This is a wonderful chance for the youngest runners to get involved in all the action, especially those who have grown-ups competing in the adult races. All races will start and finish at Crawley’s pretty Southgate Park, where runners and spectators can enjoy a fully-equipped event village comprising a huge bag drop and a festival stage with live music and commentary. All races include a pre-race warm-up and this is a fantastic place to soak up the atmosphere of the day and cheer on family and friends. A delicious selection of food and drink will be available at the Food Village, with some vendors serving breakfast from 8am and the main Food Festival opening for lunch from 10am. Of particular excitement is the presence of former sprinting and hurdling athlete Colin Jackson, who will be at British Airways Run Gatwick Half Marathon Sussex to support the runners and act as an ambassador for Flying Start, the race’s Official National Charity. Anyone wishing to run for charity and raise money to make a difference to others should visit the race website for more information. British Airways Flying Start is the National Charity Partner for British Airways Run Gatwick. The Local Charity Partners for the 2018 event are Kent, Surrey and Sussex Air Ambulance, Carers Support, Neurokinex Kids, Crawley Open House and St Catherine’s Hospice. The 2018 British Airways Run Gatwick takes place on Sunday 13th May and entries are open to all races. Entry costs £36 for the International Half Marathon and £25 for the 5K or Corporate 5K. The Ambra Corporate VIP Area is available for an additional £12 per person. Entry to the Family Run costs £12 for children aged 4-15 years, and £1 for accompanying adults. Go to www.rungatwick.com for further details and to sign up. For all media queries about British Airways Run Gatwick, if you need any high res images/logos or have got any interview requests please email Breathe Unity on info@breatheunity.com.